(Dec. 20, 2018) -- In the event of a federal government shutdown, which may occur late Friday, Dec. 21, UTSA may be impacted in some areas. Here are the latest updates. The UTSA Office of the Vice President for Research, Economic Development, and Knowledge Enterprise (REDKE) is monitoring the situation as it relates to research and sponsored programs. A number of grant-making federal agencies will be closed and/or working with limited staff and resources, if a shutdown were to occur. REDKE will compile and share a list of specific closures and directives on the UTSA Research home page and UTSA Today as information becomes available. In the meantime, existing grant awards and sponsored programs continue as planned during the shutdown. There are no interruptions in spending and UTSA will continue to bill agencies per award requirements. UTSA Research Service Centers (RSCs) are prepared to assist the UTSA community with federal grant proposals, awards and queries during the shutdown. Pending requests, such as approval to re-budget, etc., should be discussed with the appropriate RSC director and may need to be put on hold. Government staff of select agencies (e.g., National Science Foundation, U.S. Department of Justice, U.S. Department of Homeland Security) will be unable to assist or help with any questions or issues and associated digital resources (e.g., NSF Fastlane) will be unavailable. The National Institutes of Health is unaffected. Timelines and deadlines will be reposted by federal agencies once the shutdown concludes. UTSA faculty and staff who receive an official notice directly from a federal agency should share this information with their RSC director to develop an interim plan. >> Learn more about the impact of a federal government shutdown by reading this Nature article. Federal Financial Aid programs and operations are funded through the federal fiscal year (September 2019). There should be no issues with processing and receiving federal aid should the nation experience a government shutdown. Seventy five percent of government agencies, including the U.S. Department of Veterans Affairs (VA), have been fully funded until September 2019. If a government shutdown does occur, it should not have a major effect on the VA business line. VA employees will work as scheduled and the federal funding programs for UTSA students will continue to be processed. UTSA Today will continue to monitor the situation and provide updates to the university community as they become available. 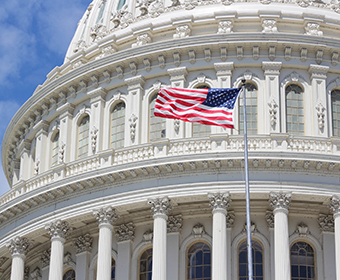 Learn more about the impact on researchers during the federal government shutdown.